Whilst institutional firms, pre and post-trade processing companies, and regulatory authorities across North America have been extensively engaged in performing ground-up adjustments, in order to meet with the Dodd-Frank Act requirement, that instead of an OTC agreement between two parties, a central counterparty (CCP) is required to step in and buy the swap from the seller and then sell it to the buyer. The remainder of the world has remained free of such extensive restructuring requirements. Trading venues in other jurisdictions, mainly the Middle East and Asia-Pacific regions, are unburdened by the requirements for trade reporting and increased transparency stipulated by the Dodd-Frank Act. Similarly, there has been an emergence of executing venues across Asia, one of which is the Dubai Gold and Commodities Exchange (DGCX), which today announced that it has become the first CCP in the Middle East to join Euroclear’s global Collateral Highway. The Dubai Commodities Clearing Corporation guarantees settlement for all trades executed on the Dubai Gold & Commodities Exchange (DGCX), which is supported by a system of initial and variation margins. An interesting move, on the basis that European firms may be subject to the same rulings regarding CCPs as American firms, as MiFID rulings follow the same path as the Dodd-Frank Act in a global attempt to standardize the regulatory structure, and reform the method by which the pricing of OTC derivatives can be accounted for by regulatory authorities worldwide. Earlier this week, the DGCX announced that 10 million contracts had been traded on the exchange since the beginning of 2013, representing a record for the venue. Whilst, the majority of these had been very specific to the Middle East and Asian market, such as the Indian rupee contract, the DGCX also announced that volumes for its euro futures rose in August, by 115% compared to last year. On that basis, it could be perceived as a natural progression to provide CCP services to Euroclear, in order to increase transcontinental presence. 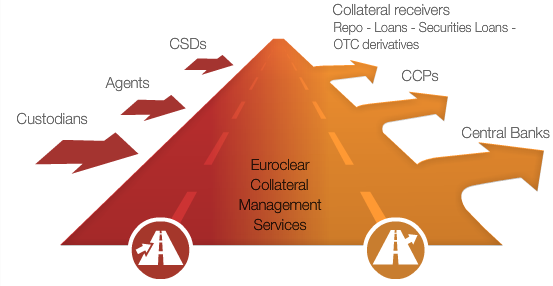 Scheduled for full operation in early 2014, this exclusive agreement with Euroclear will enable clients of DCCC and DGCX to use CCP-eligible securities held in Euroclear Bank , and in all other entities connected to the Collateral Highway, as collateral to fulfil initial and variation margin requirements at DCCC. “It also underscores our commitment to clients and market infrastructures in the MENA region, to ease cross-border flows and contribute to its appeal as one of the world’s high-growth regions. 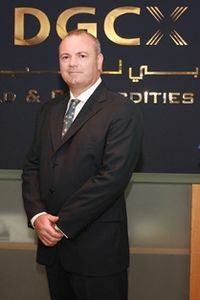 We are therefore, pleased to be able to welcome the Dubai Commodities Clearing Corporation as the first CCP in the Middle East to join the Collateral Highway” stated Mr. Howell.